When he’s not out tending to his flock of sheep, you can find this character wandering around the gym. 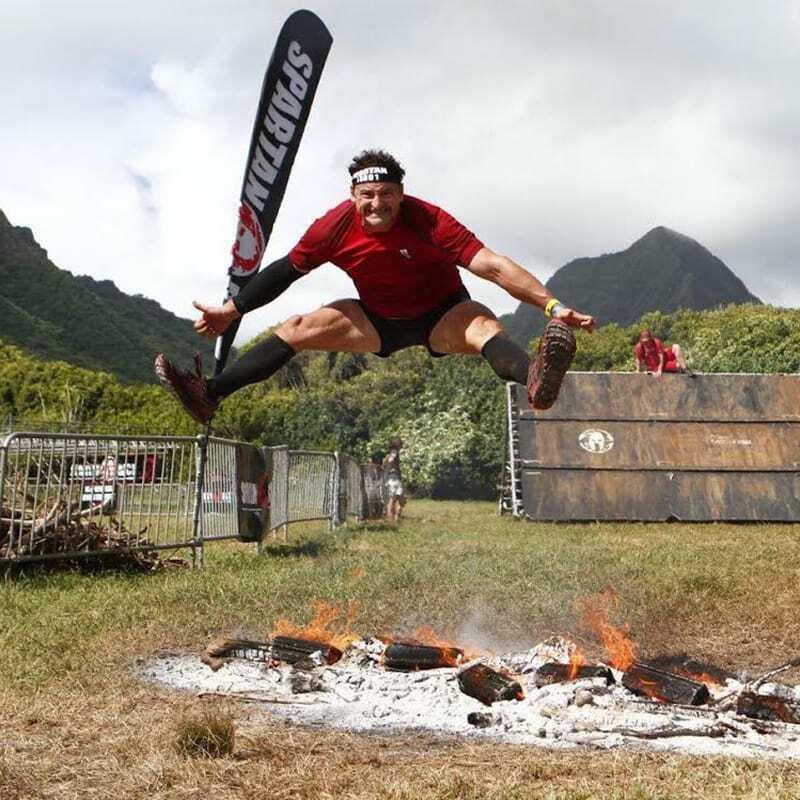 If Chris isn’t crushing the obstacles, he’s enjoying active recovery hikes, being a “Grumpah”, and oh yeah.. crushing more than 12 #burpeefree Spartan Races. A brutal skiing accident left him with no cartilage in his knees, but that doesn’t stop this bone-on-bone OCR racer from completing 13-mile courses and cracking jokes, almost simultaneously. The obstacles ahead of this Mother/Daughter duo looked intimidating and completely crazy. Being afraid of heights, Melissa would've never fathomed climbing up a 20ft rope... but she did it. She got her mom Cathy hooked on American Ninja Warrior, so it was only natural for Cathy to say, "I want to be strong like that". She was already working out, but wasn't training on the obstacles. That's when they decided to join MROC. 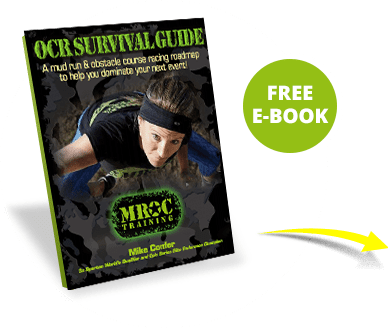 With their newfound muscle mass and trimmed physiques, they enjoy conquering events like EPIC Series Obstacle Course Races and "Ninja Night" classes. "MROC is crazy... a good crazy!" In 2015 I was very overweight, pushing the scales at 220 lbs and coming off of a bad concussion. I was forced to hang up my soccer cleats due to my concussion, causing me to loose something I was passionate about for 25 years. After 6 months of feeling bad for myself and being depressed, I knew I needed to do something to permanently change. After dropping 50 lbs, I stumbled across MROC while looking for somewhere to have my son's birthday party (he's a huge Ninja Warrior fan!). Before even speaking with Mike, I knew this was a place that I HAD to train at. Standard gyms are too boring and monotonous for me. I needed something that was fun that would give me the same challenge as playing soccer. 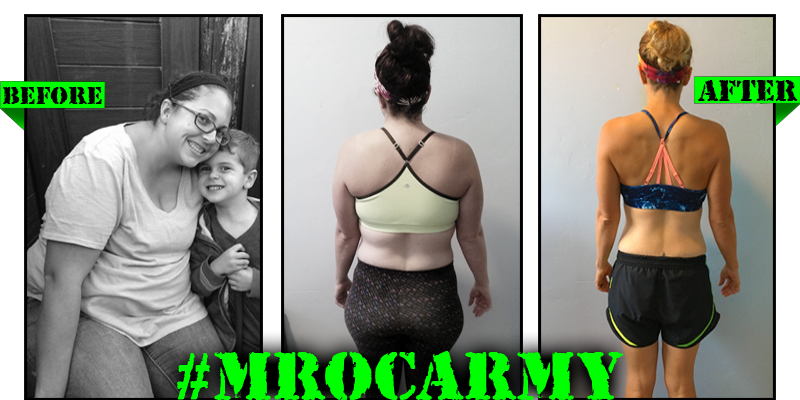 I started at MROC in January 2016 weighing 174 lbs and 35% body fat. My posture and form was absolutely horrible, and I was still suffering from side effects of my concussion. Certain movements or directional changes that were never an issue before were something that I now struggled with. No matter how many times it took me and no matter how frustrated I got with myself, Mike was always patient with me and thought of different ways to break down movements so I could comprehend. Before long I was lifting and training like I have never done before. I am proud to say that in the last 9 months I have completed my first Trifecta, and with each race bringing in a faster finish time and better results - including a burpee free Beast! My mile time has dropped from 11:45 down to 7:00 minutes flat. And previously I wouldn't even be able to tell you what a deadlift was, let alone be able to do a proper one. Now I am able to deadlift 220 lbs, which just so happens to be how much I used to weigh, checking off a huge goal for me! Over the past 18 months I have lost a total of 93 lbs, and dropped my body fat to 19%. I have gained strength, endurance, speed, balance, agility, confidence, passion and most importantly a new family. 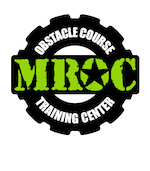 Every day that I start with MROC training is a great day! In January 2016 I was 47 years old, recently divorced and of modest fitness level. 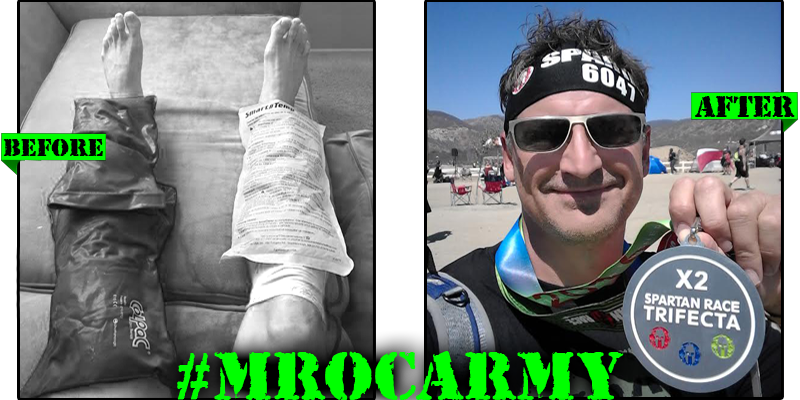 I came to MROC because they had obstacles and I wanted to run Spartan races. I got so much more. My overall fitness improved dramatically including running a sub 7 minute mile which it had been decades since I had ever done. 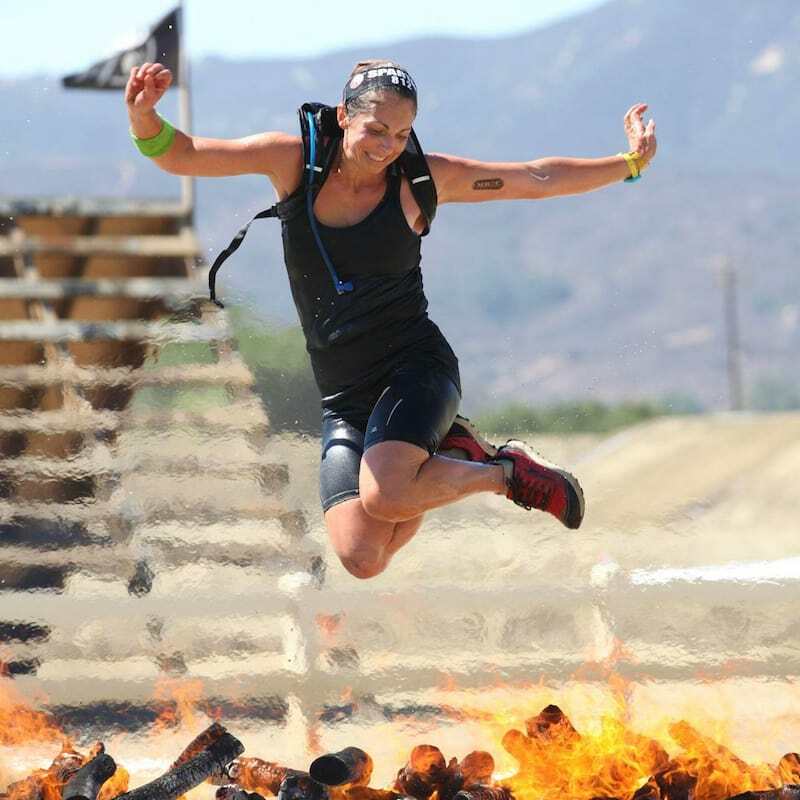 I ran SEVEN Spartan races this year injury free. At 48 years old those are huge accomplishments. This is largely due to Coach Mike’s tremendous training and expertise. I used to get shin splints and often had to ice after running. Mike put on a running clinic that helped me improve so much about my running technique that I had never really paid any attention to before. Since then I haven't had one single shin splint pain and I've run longer than ever before. I did not train or race alone. The MROC community is made up of so many amazing diverse and supportive people. It’s fun and motivating and I get happy just thinking about them! I never got that from a gym before. Despite my modest fitness level they have pointed out that I have a pretty good vertical jump and I’ve gotten the moniker “Jumping Gerry.” I love it! This year had some big challenges including a brutal bout of pneumonia, job loss and moving out of my home of 14 years making my accomplishments all the more remarkable and meaningful. The MROC culture was a very positive influence on me throughout. My fitness goal is simply to age well...very well. I want the second half of my life to be great. I know my most critical success factor is to stick with it which also had been my biggest challenge in other fitness pursuits. The entire package of coaching expertise, huge variety of obstacle equipment, effective and never-boring workouts and the super community all work together to keep me coming back. I see no end in sight.